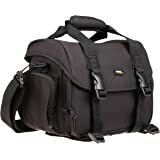 Sold by Rand's Camera and Fulfilled by Amazon. Gift-wrap available. Comment: [Appearance] There are some scuffs. 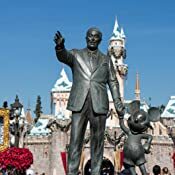 A character is tiny come off. Lens hood is there are many scuffs. [Optical System] Some dust, but no adverse effect to image quality. There is no balsam separation. There is no scratches, no fungus, no haze in lens. 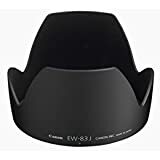 [Accessories] Lens hood. 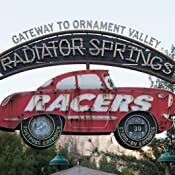 F/Rcap is outside articles. Please refer to all photos for reference of condition. [Comment] No box. No manual. Warranty has expired. [Shipping] Since the item is in the amazon warehouse, shipment is done promptly by amazon. 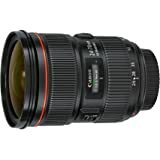 Amazon's Choice for "canon 17-55mm f2.8 is usm"
Sold by Rand's Camera and ships from Amazon Fulfillment. In stock on May 8, 2019. Sold by Photo Savings and ships from Amazon Fulfillment. 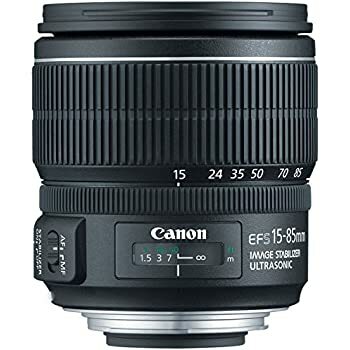 The Canon EF-S 17-55mm f/2.8 IS USM Zoom Lens meets user demands for a fast EF-S zoom lens, Canon has specially designed a new lens with a large aperture of f/2.8 for select Canon Digital SLR cameras. The large circular aperture produces a shallow depth-of-field, creating background blur that draws attention to the photographic subject. The lens construction includes UD and aspherical elements, which deliver impressive image quality throughout the entire zoom range. Image Stabilizer lens groups shift to compensate for camera movement so that the image appears steady on the image plane, ensuring clear, crisp images, even in dim light. With a Ring-type USM, inner focusing and new AF algorithms, this lens achieves autofocus quickly and quietly, and with full-time mechanical manual focusing, manually adjusting the focus is possible even in AF mode. 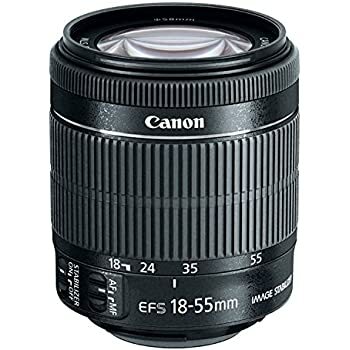 Designed to meet consumer demands for a fast EF-S zoom lens, the EF-S 17-55mm offers image quality on par with Canon's highly regarded L-series lenses. 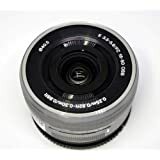 The lens features a large circular aperture that produces a shallow depth of field, creating background blur that draws special attention to the photographic subject. The lens construction, meanwhile, includes UD and aspherical elements that deliver impressive image quality throughout the entire zoom range. And thanks to the Image Stabilizer lens groups--which shift to compensate for camera shake--the image appears crisp and clear on the image plane, eve in dim light. Finally, the lens offers a ring-type ultra-sonic monitor (USM), inner focusing, and new AF algorithms to help achieve autofocus quickly and quietly, along with full-time mechanical manual focusing that makes it possible to manually adjust the focus even in AF mode. 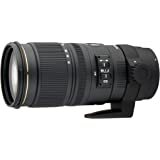 As with all Canon lenses, this lens carries a one-year warranty. 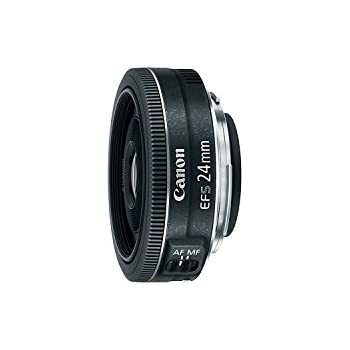 The EF-S 17-55mm f2.8 IS USM offers image quality on a par with Canon's highly regarded L-series lenses. It has a large maximum aperture which, combined with higher shutter speeds, can minimize subject motion blur. Shallow depth-of-field separation of a subject from its background is much easier to achieve and the f2.8 maximum aperture allows a bright finder and extremely precise focusing with f2.8 compatible AF sensors. The internal stabilization has a sharpness benefit equivalent to a three-stop faster shutter speed, making this lens outstanding in low-light situations. 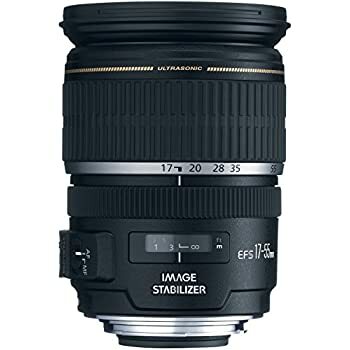 Smaller and lighter than lenses of similar specifications, the EF-S 17-55 mm f2.8 IS USM lens has a 35mm equivalent focal length of 27-88mm and is compatible only with the EOS 30D, EOS 20D, EOS Digital Rebel XT, and EOS Digital Rebel SLRs. 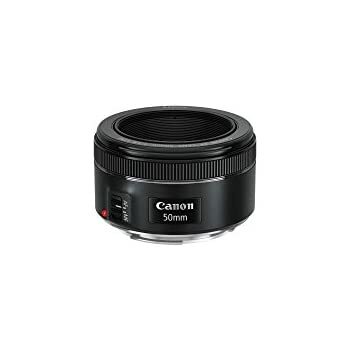 To meet user demands for a fast EF-S zoom lens, Canon has specially designed a new lens with a large aperture of f/2.8 for select Canon Digital SLR cameras. The large circular aperture produces a shallow depth-of-field, creating background blur that draws attention to the photographic subject. The lens construction includes UD and aspherical elements, which deliver impressive image quality throughout the entire zoom range. Image Stabilizer lens groups shift to compensate for camera movement so that the image appears steady on the image plane, ensuring clear, crisp images, even in dim light. With a Ring-type USM, inner focusing and new AF algorithms, this lens achieves autofocus quickly and quietly, and with full-time mechanical manual focusing, manually adjusting the focus is possible even in AF mode. Probably the best lens you can pair with the Canon 80D and that's what I did. The focal length is great as a versatile walking lens on the cropped 80d sensor. The added image stabilization is also a very nice feature of this lens to pair with the video capabilities of the 80D. - The quality of the images is definitely good, not the best lens, but it is almost impossible to find another lens that can beat the versatility here. You could probably find better primes, but none in a 35mm (cropped sensor equivalent) with image stabilization and that fast 2.8 aperture. - The auto focus worked great, was plenty fast and is pretty quiet. Not as quiet as the STM, but quiet enough to get usable audio from the onboard mic in a pinch. - Image stabilization is a must for hand-held video shots and allows for hand-held shots at slower shutter speeds. - While the lens is heavy, I also have used the Sigma 35mm f1.4 ART lens and that lens is even heavier so, I guess it's all relative. - In addition to the length, the diameter is 77mm which is also quite big. - Very expensive lens considering that it is an EF-S mount, which I believe means that you can't use it on a full-size body. So, if you ever decide to go to a full-size body, you can't take this lens with you. While there are a long list of negatives for this lens, they are not deal breakers. 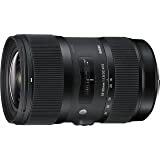 Again, you would be buying this for an APS-C camera and that would make this focal range more like 27-88mm which is a great range for walking around. The fast aperture at every focal length, and image stabilization make this an all-in-one lens. 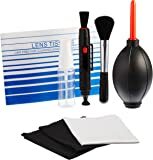 You could definitely carry around a few lenses which might be better, but most of then don't have image stabilization if you want to take video, plus you would need to be changing lenses constantly. This was the main lens I used on my trip and there is no single lens that could replace it. I highly recommend it if you are starting out and just want one lens to last a while. 4.0 out of 5 starsGreat value for a sharp lens. I've been using this lens for over 2 years now. It replaced the 17-85mm f4-5.6 that I bought several years ago. Here are some of my random comments about it. This lens is mounted on my camera (Canon 7d) more than any other lens. It is very sharp for a zoom, and I have tested the sharpness using FoCal and various test targets. The IS and auto-focus is effective and fast enough for me. There are times when I wish it would reach a bit further, maybe, 70mm. However, for many landscape, and interior shots, it fills the bill nicely. I have not noticed any dust buildup in the lens, which was the major criticism I've seen for this lens. There are ways to safely clean this lens yourself, however. 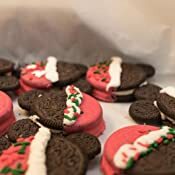 I found a few YouTube videos that show you how. I've only had one 'problem' with this lens. I noticed that it exhibited extreme lens creep after about a year of use. Pointing it up or down would cause the lens to creep and lose the compositions (and focus). This is unacceptable. I found a solution to this, by using some label strips (Dymo metallic) stacked along the lens barrel. This gives enough friction to prevent the creep. Thus, I deducted a star for this. I like the 77mm diameter of this lens, since I can use the same filters I use for my 10-22mm and 70-200mm lenses. 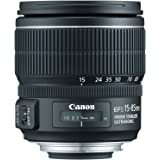 I was really surprised to see that Canon lowered the price of this lens since I bought it. Back in 2011, you could't find one for much less than $1000. I have never regretted buying this lens. Overall great lens. It's sharp as a tack and the contrast of the images is stunning. This lens is notorious for collecting dust. All of my lens' are in immaculate shape as I take good care of them but that did not prevent dust from collecting in this lens. It's easy to perform surgery on these lens' to clean them. I had it in top top shape after blowing out the lens. The whole process takes less than 8 minutes. I just wish I didn't have to take apart such an expensive lens. I'd be happier with giving it a 3.5 rating but i'll just round to 4 because of the positives mention above. Also, this lens, size-wise is a monster. The construction looks and feels great but you are going to feel the weight. 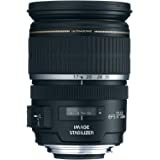 There are comparable Sigma and Tamron lenses with a similar focal length that won't break your back like this bad boy. This is a very nice lens for those moving beyond the kit version. 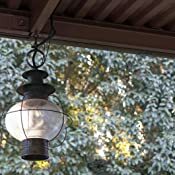 Super low light performance across all focal ranges coupled with image stabilization makes this great for indoor photos with no need for flash. 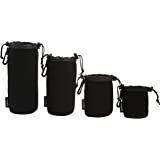 The focal range covers wide angle to mid-range telephoto to make it a perfect all in one lens for walk-around purposes. AF is super fast and tack sharp. The only drawbacks re the cost and weight. 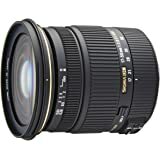 Right now Amazon is offering this fabulous lens for $330 off; weight you will need to deal with, but it is not a bit issue for me given the many positives.